Our popular scavenger hunt is available in Las Vegas! 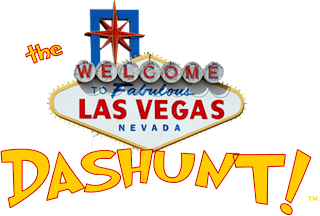 Now in our 9th year The Las Vegas Dashunt! offers 6 different competitions all in one amazing, fun, funny, and competitive hunt. In this multi game scavenger hunt competition teams will travel to Egypt, Hollywood, Venice, Paris, Rome and many more exciting areas on the world’s most famous strip! This game has been perfect for corporate team building and social events! As you might or might not know Facebook is the leading social network site out there today. With that being said we have created a Cashunt Fan Group on Face book. There it shares new information, special offers, photos, video, comments, and much more. So if you like follow this link and join in on the fun for past and future Cashunt players a like! There is nothing better than giving back to the public, it's something I strongly believe in. Here at Cashunt we have our giving back program which gives back to a certain organization to help some people in need out. We have many organizations that have requested our services in order to help raise money for their cause. If you are planning a future event and are looking for something different to do for your organization, give us a call. We are booking College Games! We are now booking games that are specially customized for Colleges. The game is called "The Dorm Dash!" which the premise of the game is a 6 game Dorm vs. Dorm competition. We had a test game last fall to much success and is now avaialble for bookings for 2009. We are offerening a special student rate which is if you have over 15 people it will be $25 per player, and if it is under it is $35 per player. So if you want more information on this game and how we can customize to your group, call us a speak to a game coordinator for more information..
A Score That Will Be Tough To Beat! If you are in business or going start a business there is no better book out there today other than "business stripped bare" by Sir Richard Branson. 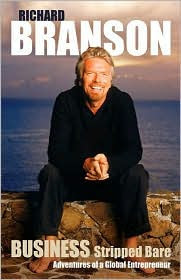 It so good that I read it twice and made a bunch of notes on this book.. Who is Sir Richard Branson you may ask well he is Mr. Virgin as in Virgin Atlantic, Superstores, Mobile, Cola, etc, etc, etc.... I can go on and on. It's just a great book and this is guy is a total rebel in business and that's why he stands right out! Pick it up today!!! 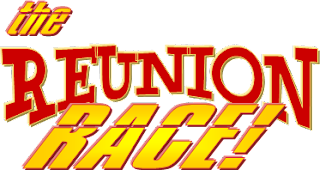 If your looking for ideas for your next high school reunion look no further, we can provide you with the ultimate customized high school reunion competition! It is 6-game customized scavenger hunt / live game that is sure to challenge, humor, and give your classmates one of best reunions ever! 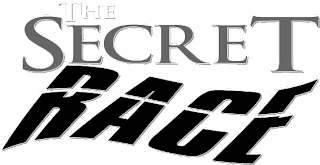 The Secret Race is Ready ...Set... And A GO!!! **NYC is for corporate events until further notice..